A variation on a Spanish lullaby that is common throughout Latin America. Originally a different version of Arroro was going to appear on the All Around This World: Latin America CD, but when vocalist Sofia Rei came in to record she mentioned that her mother used to sing a different version of this lullaby to her when she was a baby. All Around This World decided to change melodies in mid stream, and Sofia recorded the song she learned when she was a child. 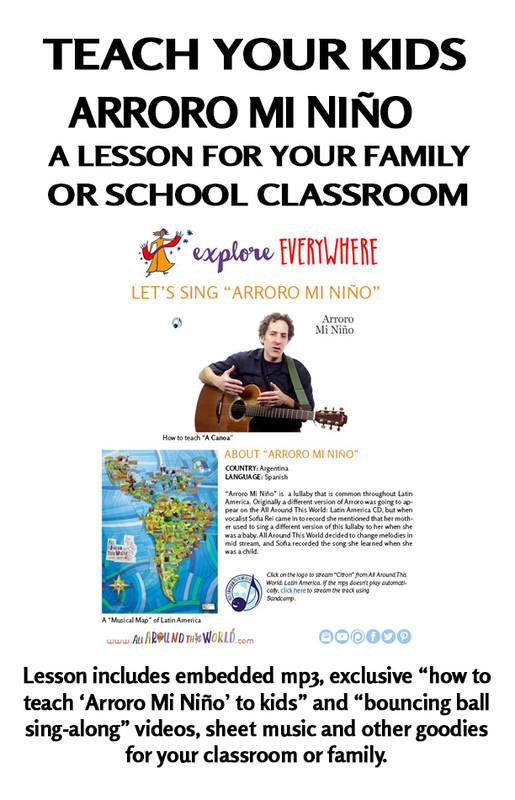 "Arroro mi Niño" is traditional. Arrangement by Jay Sand and Sofia Rei.